Welcome to the inaugural season of the Spatz Arts Academy! Our launch classes will be full of theatre games & group building and will give you a glimpse into a day at Arts Academy summer camps. Classes will be three hours long and will include group work in our beautiful theatre space as well as a break in our big, bright lunch area. Tours of our theatre, classrooms and outside areas will be offered to parents at your request! 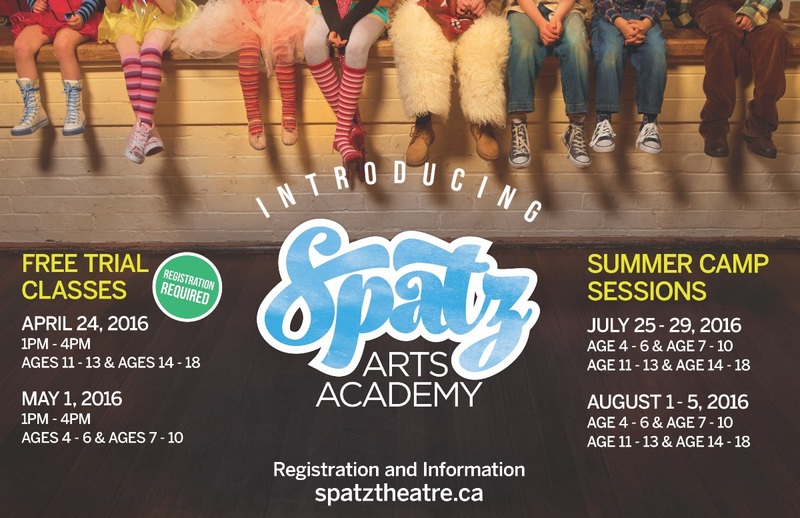 Spatz Arts Academy is designed to provide our community with a safe environment to explore, discover, imagine and play in the world of theatre and the performing arts. With small classes and a collective focus, class themes will explore theatre through literature, science, nature and art with principles of acting and improv, storytelling and writing, movement and dance, music and voice, tech and design. Our incredible team of theatre professionals and experienced instructors, share a passion for arts education and will guide, empower and support our academy students with enthusiasm and inspiration. Each student is valued and given a chance to find and hone their individual talents while building strength within an ensemble. A final ensemble performance will occur in the Spatz Theatre at the end of each session.